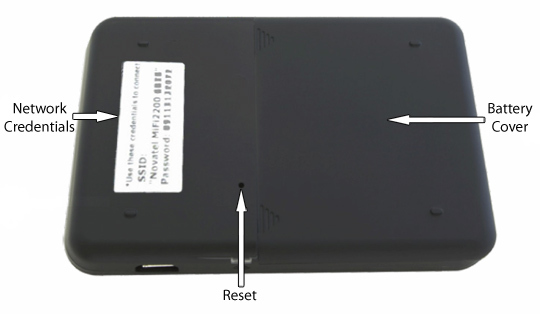 With the device powered on, locate the reset hole on the bottom of the device. There is only one hole located on the bottom of the device. Depress the reset button until the Service Status LED blinks green one long blink then a brief blink (about five seconds). Use an unfolded paper clip or similar object.